I will admit that I like a good bloody mary. It’s one of those drinks that I typically will only drink during the brunch time of the day, and in particular on a Sunday. I have no idea why, but I’m sure you could probably twist my arm and get me to drink one on a Saturday as well. My wife on the other hand is not a fan of a bloody mary, probably due to the tomato juice, but for me I love everything about it, even though I am not a huge fan of tomato juice. It’s the spice that I love! 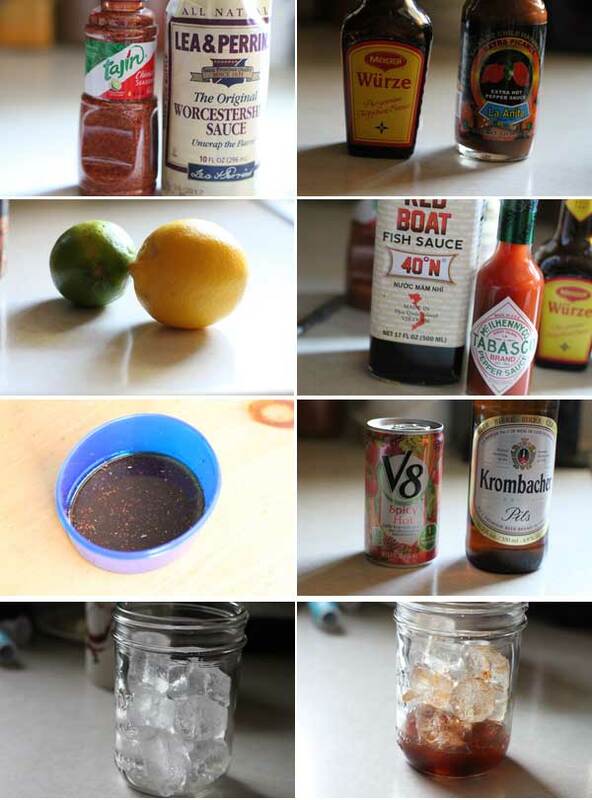 Now there is a simple twist to a bloody mary, and instead of using vodka as the booze of choice, you use a simple lager. 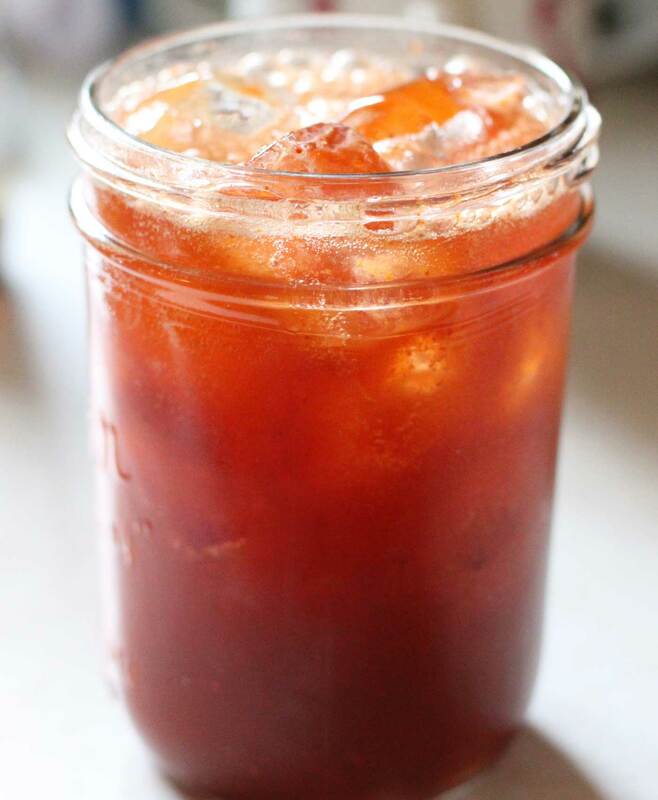 It’s called the michelada, and it takes a strong first against a bloody mary. The michelada is basically a tomato and beer mix that is loaded with an array of spices, and they say they a cure for a hangover. Who knows about that, but whatever the case the premix is the key, in my opinion, in making a great michelada. You will want to make the premix the day, or night ahead to let all of the flavors form. Trust me, it’s a knock out mix of flavors. Start by adding the maggi, Tabasco, Worchestershire, fish sauce, Tajin, lime juice, lemon juice, and habanero sauce to a small container. Stir well, cover, and place in the refrigerator over night. The following day, fill a glass with ice cubes. If you want, you can rim the glass with Tajin seasoning. I prefer not to as there is so much flavor already in the premix. Pour the premix into the glass, then the tomato juice. Give this a good stir, then top with the beer. Sip and enjoy. This premix is so robust it will possibly have you second guessing that bloody mary. Enjoy!